Making your own cheese dip from scratch is amazingly easy. This delicious queso blanco dip used freshly shredded cheese and chopped fresh jalapeño for a taste that beat all others! For me it’s been the summer of dips! From my fresh and simple guacamole to this delicious queso blanco dip using freshly shredded cheese, you just can’t go wrong when you have something delicious to serve with your favorite tortilla chips! Using freshly shredded blocks of cheese instead of the processed type may sound intimating, but it’s barely any more work and your results will be 1000x better! 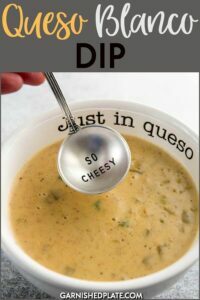 This queso dip is so super quick to make you can even whip it up when unexpected company comes by and totally impress! Note: I’ve had a ton of questions about where to get this bowl! I bought it at a boutique but just found it on-line here!! 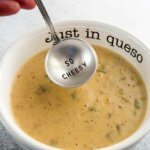 What is in queso dip? I chose to add both fresh jalapeño pepper as well as canned chili peppers, but you could obviously go with one or the other if you prefer. I also added onion powder and garlic powder for extra flavor. 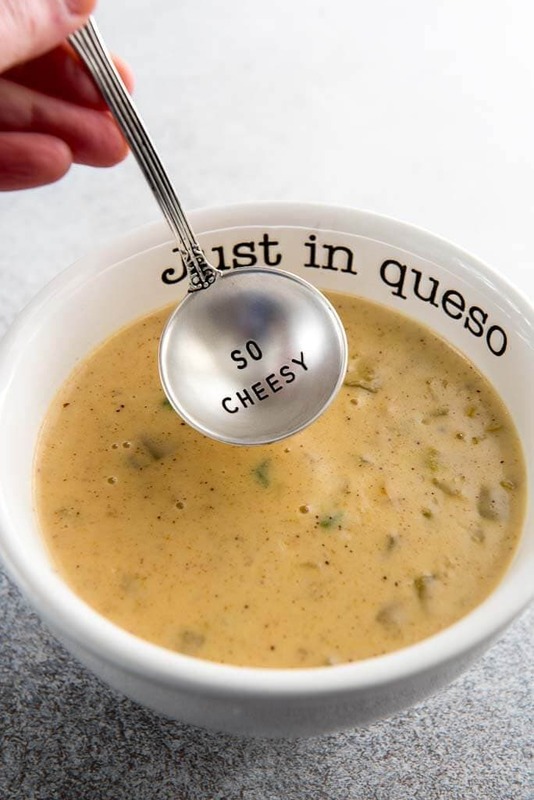 What kind of cheese is used in queso? I used a simple Monterrey jack for this one. Easy to find and always tasty! One note is that you should not buy preshredded cheese for this recipe. It contains an anti-caking agent that will keep your cheese sauce from being smooth. Grab a cheese grater instead! 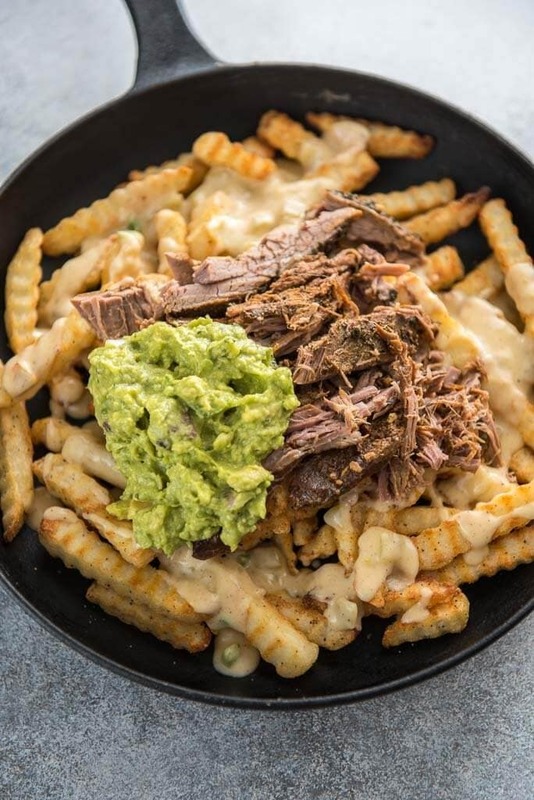 I love serving up my queso blanco dip in a bowl with chips, or on top of fries along with some delicious carne asada and guacamole for one amazing meal! I'm in total agreement with you about the shredded cheeses. Not only do they not perform well in recipes, but the flavor is never as good as freshly grated. Awesome sounding recipe! 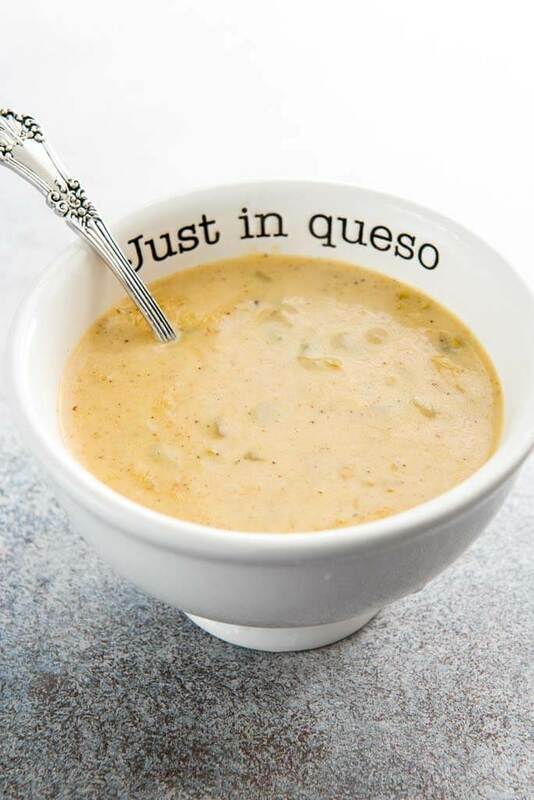 Queso is a staple down here in Texas! Seriously one of my favorite food groups ;) Thanks for the recipe!!! This looks like a top notch queso dip! And that spoon & bowl!! SO amazing!